Wide range of Gloucestershire fruit trees for sale. We specialise in unusual and local varieties. Our juices, ciders and perrys are pressed from fruit grown in local, unsprayed traditional orchards. We have planted over 400 fruit trees, 160 of which form the Gloucestershire Museum Orchard, and all are managed organically. Also home to the GOT Orchard & Rural Skills Centre. Taste the varieties at Stroud Farmers Markets or at our Apple/juicing day for Gloucestershire Orchard Trust members. 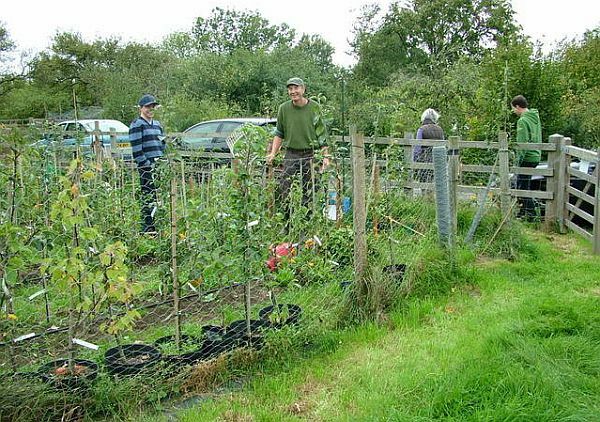 Lodge Farm Trees is a small nursery growing and supplying a range of fruit trees, and soft fruit bushes, especially old traditional Gloucestershire varieties. My aim is to promote and grow even more Gloucestershire varieties in the near future. I can propagate, by budding, almost any Gloucestershire variety of apple and plum, plus any perry pear to order. Certified organic fruit trees. 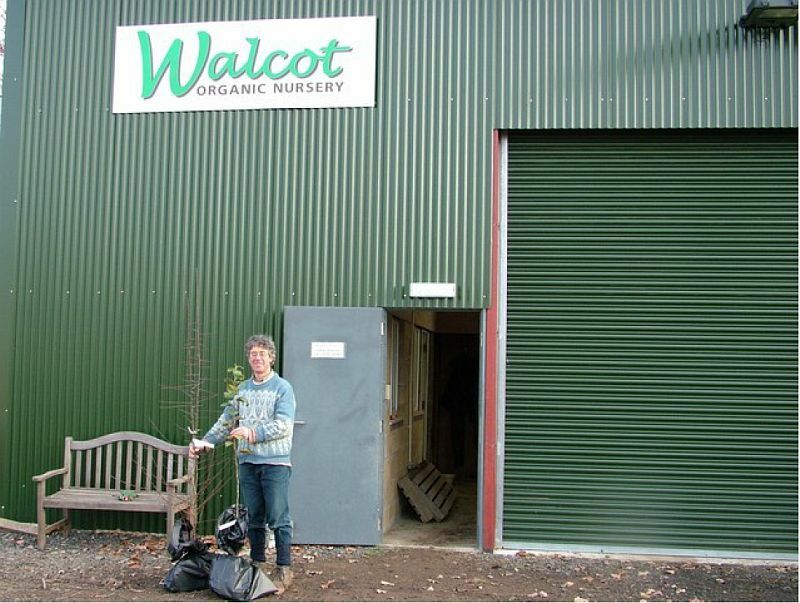 A nursery producing a wide range of traditional and modern fruit trees – apples, plums, pears, quinces on a variety of rootstocks. Trees are available bear rooted as maidens and bushes between November and March. Delivered or collected. Viewing by appointment welcome. Affiliated with Pershore Plum Day. Trees also sold at Malvern Autumn Show. Lower Walcot Farm, Walcot lane, Drakes Broughton, Pershore, Worcestershire WR10 2AL. 01386 553697 Fax. 01905 841587. Established in 1901 and based in rural Worcestershire, Frank P Matthews grow over half a million fruit and ornamental trees every year supplying Commercial and private Orchards, Garden Centres, Nurseries, Mail order companies and individuals through its own Tree Shop. Container grown and bare root trees from the newest introductions to the oldest heritage varieties, hedging, specimen trees, rootstocks, propagation material and trained fruit trees are all from this traditional nursery. We are committed to growing the highest quality and widest range of trees to suit every garden. Specialist in cider apple and perry pear trees. 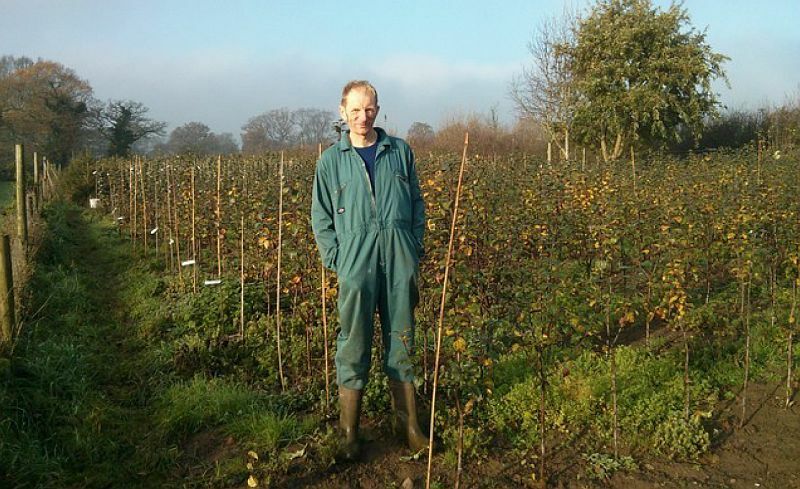 John has over fifty years’ experience in nursery work and apple production. Includes mail order and potted trees all year round. Specifically ask for Gloucestershire apple range. Grafting courses & grafting service from extensive range of heritage apples. 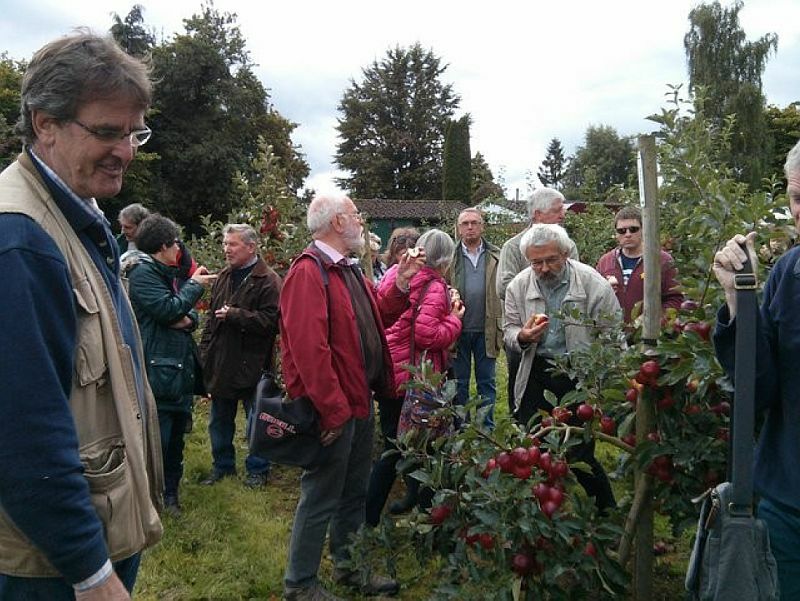 Also apple identification and apple day events. Listing of apples gives useful key of “pretty blossom”, “pollination group” and date first known. Sells some Gloucestershire varieties with useful information about pollination etc. The profits from this fund the Own-Root Fruit Tree Project. This is researching the possibilities of growing trees on their own roots rather than root stocks, based on research by Hugh Ermen formerly of Brogdale Horticultural Trust, and the possibilities of developing a coppice orchard system. Hundreds of eating, cooking and cider trees for sale, including many old varieties, local varieties, new varieties. Grown at altitude in Mid Wales for hardy vigour. Trees grafted to order. Also orchard planting and management service. Expert artisan cider and perry producer Bill has produced an excellent and entertaining book entitled “How to Grow Cider” (including perry and pider) available at £5.